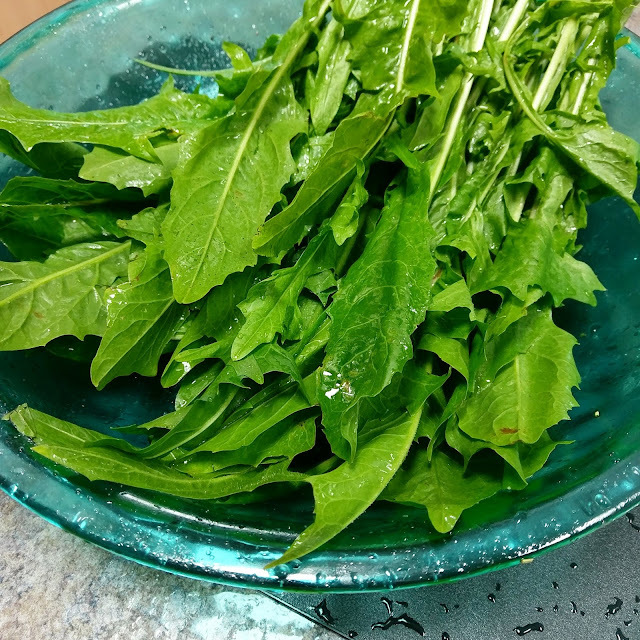 I recently started making pickled dandelion greens. I hated to waste the stems. I often threw them out because they are bitter when eaten raw. I didn't know what else to do with them until I thought to add them to the leaves and pickle the whole stem. 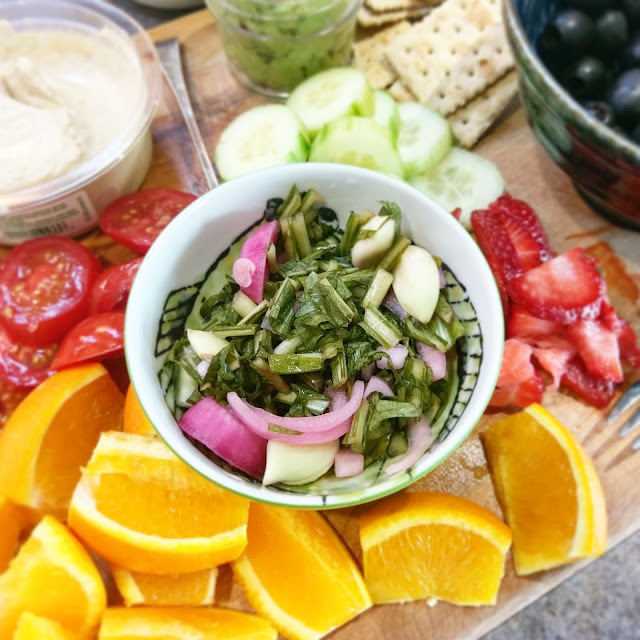 I discovered that the brine cut through the bitterness of the raw stem and created the right amount of stability to add zing to our hummus and dip experience. In the pickling, I include whole garlic cloves and red onion slices. 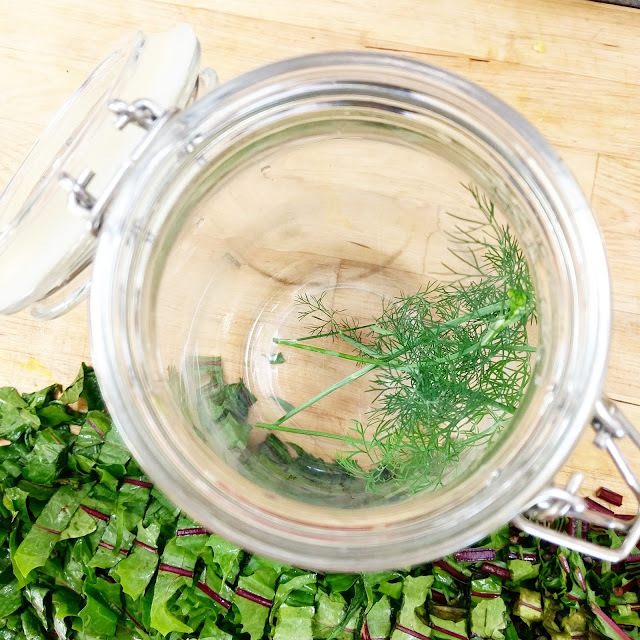 I also used the fresh dill from my window herb garden. I first read about how important dandelion greens our in our diet years ago. The hard part is now knowing what is good for you to eat, but actually convincing your family to eat it. This is the first time that we have all enjoyed our dandelions. In the past, I have sauteed them with success. I treat them like I would any other leafy green. There is a variety of dandelions to be purchased or grown. The variety I find in the grocery store is not the type that grows in my yard. Although we could eat them I choose not to because the previous owner used chemicals on the yard. If you choose to collect or forage for dandelions in the wild, keep in mind the location and how they have been treated. 1. 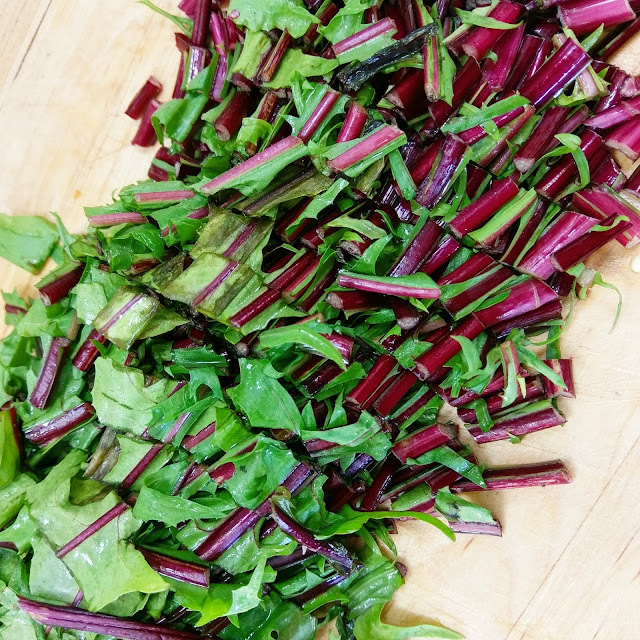 Chop dandelion greens and stems and red onions. Peel the garlic and leave whole. 2. In a container of your choice, add dill, greens, onion, and garlic. Fill the jar 1/4 full with white vinegar. Fill the jar within 1 inch from the top with water. 3. Add 1/2-3/4 cup sugar (depends on how sweet you like your brine) and 1-2 tablespoons of salt. NOTE: This is an easy way to make brine for any jar you use. This gives you the freedom to pickle small and large batches. You can heat the brine before adding it to your ingredients. I personally don't because I like the bit of crunch they maintain when I use a cold brine. 4. 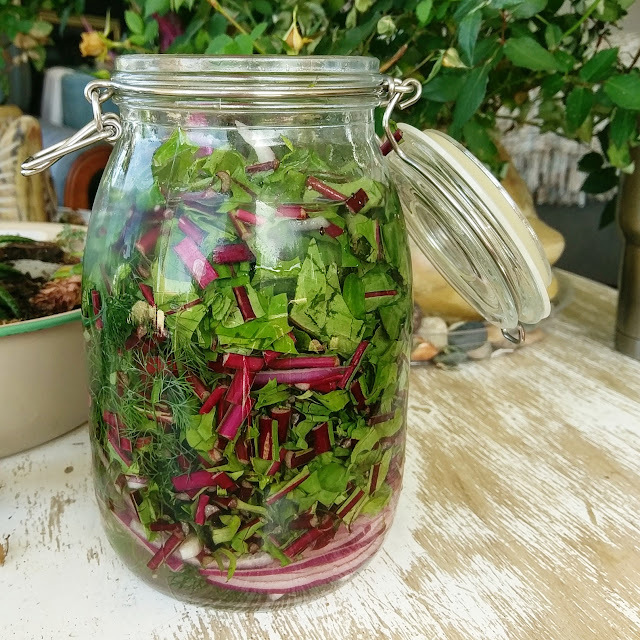 Let pickled dandelions marinate for a full day. I say this because dandelions are tough. They need the extra time to brew. They will last 2 weeks in the fridge. NOTE: You can test the brine a few hours into the process to see if you wish to add more sugar or salt. I believe that there is not a perfect recipe because our taste buds are all different.